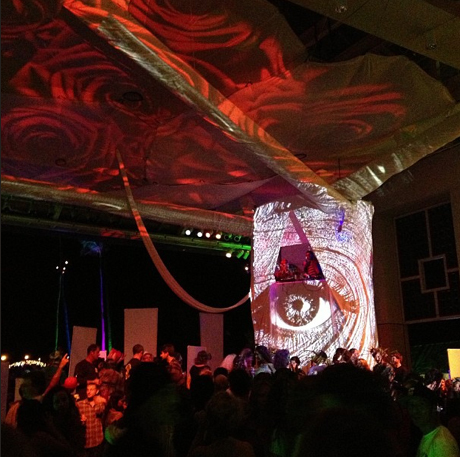 Event Horizon can build a custom sized LED video wall for your next event or gathering. 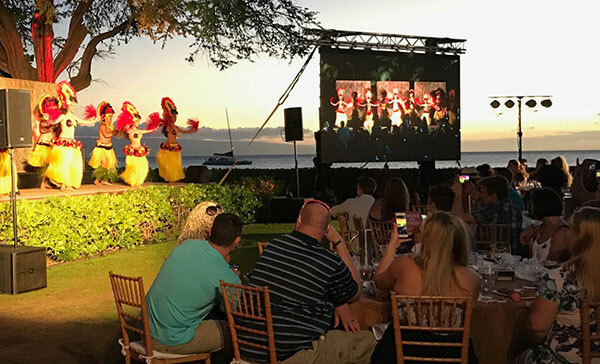 Our LED panels are high resolution and can be seen even on the brightest Maui days. Many different configurations are possible, from a standard 16:9 screen to something more creative like multiple vertical video columns. Call us today and lets discuss how you might incorporate an LED wall into your next event. Mixing aspects of lighting, projection and video production, we can highlight specific areas of your function with creative moving graphics. These various multimedia capabilities allow us to produce original content for your event which we then deliver in a unique and personalized manner. Try one of our hologram signs at your sign in table. Greet your guests with your hosts image or corporate logo floating in space by the entrance. How about drink specials at the bar presented with moving signage! Adding video elements to existing architectural surfaces or stage sets, bringing a new level of excitement to your event space.